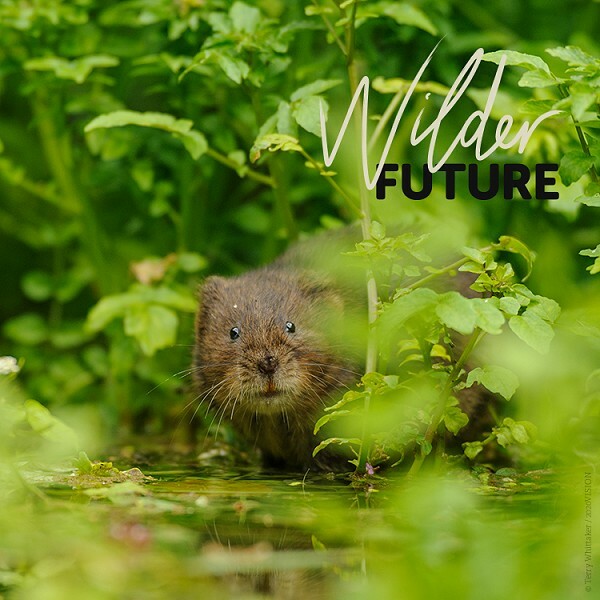 Last week, The Wildlife Trusts launched their Wilder Future campaign, with Sussex Wildlife Trust committing to the long term creation of a Wilder Sussex. This is one of our biggest campaigns ever, to help counter the major environmental issues that we face. A major part of the Wilder Future launch was the re-appearance of old friends from the Wind in the Willows family - Badger, Ratty, Toad and Mole. These childhood wildlife characters have teamed up with David Attenborough and a host of other respected public icons to help us find real solutions to some of the huge issues facing the human species, as part of the natural environment. Britain has been recognised as one of the most nature depleted places on the planet, and human accelerated climate change is widely recognised one of the most profound environmental crises that we have ever experienced. So what can we all do about it? With my wetland hat on, I have a fondness for Ratty – otherwise known as the water vole. These charismatic little ‘water rats’ can act as a flagship for the positive action that we can take to restore our battered water environments. Almost no life can survive on earth without water, and so it makes sense that we highlight the need to value and sustain clean water systems both on land and at sea – and the species which rely on these wetlands. With climate change already creating recognisably altered patterns of water based weather, we are experiencing huge changes in patterns of flooding and drought, and those changes require action from us. In a healthy natural environment, water voles would be prolific and widespread. Unfortunately, Ratty is no different from most of the rest of our wildlife. Nationally water voles have experienced severe and rapid declines, and locally we believe we have lost over 90% of our water voles in less than 40 years. Although the water vole population crash was noticed, and for now, their extinction has been averted, we are by no means out of the danger zone. There is a tendency for people to become bored of things. Water voles become ‘old news’, and others become complacent about the importance of conserving these species. Although we may have slowed down the decline of the water vole, on this trajectory, water voles are likely to still be on course for extinction. So what opportunities does a Wilder Sussex create to restore some of the natural balance again, and what might a Wilder Sussex for water voles look like? It needs to be much more ambitious than before, collaborating with a wider range of people at a landscape scale to restore naturally functioning floodplains, and water resilient landscapes across long timescales. It would involve, amongst other things, investing in the natural capital which is essential for our wellbeing, as well as innovation and wilding, the creation of functioning nature recovery networks, and supporting sustainable farming and food production. It might even consider the re-introduction of natural ecosystem engineers such as the beaver, so that water voles can share their space with the ultimate natural wetland restorer. The UN Declaration on ecosystem restoration and the Natural Climate Solutions project have both made simple, hard hitting recommendations for ways we can avert some of the worst human and wildlife devastation predicted through climate change. Measures such as restoring the world’s peat domes, mires and fens, offer huge potential for withdrawing carbon from the atmosphere, and thus slowing down climate change whilst also restoring habitats for species like Ratty. Locally we are trialling innovative and practical solutions. Year on year, our Sussex Flow Initiative natural flood management project works to create a more water resilient landscape, with millions of litres of water being captured and stored in the landscape by the natural solutions we implement. 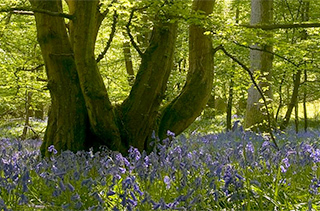 We support and advise the Knepp Wilding estate, and many other local landowners who are responding to these crises by wilding and water conservation. We work with local water companies to sustain natural capital, and we campaign nationally for changes in legislation which will allow us to manage our floodplains more naturally, and adapt our wetland sites like Amberley Wildbrooks to climate change. You too can help, by using and polluting less water, and by reducing your water footprint. Hopefully between us we can make a difference, and help stop Ratty from becoming extinct.